Inside Scoop: Simple and effective tips for glowing skin in summer. 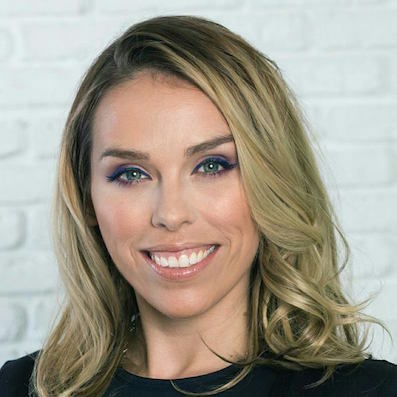 This post was submitted by Emma Hanson is a mother of two, a skincare freak and an avid reader. Summers are back and so is dull and tired skin. The heat, the sweat, the dirt and those long hours in the sun can make our skin look a little rough. Our skin is just like a plant that needs extra care depending on the season to stay fresh, and not paying attention and taking care of your skin regularly may wither it down. Many of us are usually too busy throughout the year to follow a proper skincare routine or pamper our skin for hours. The good news is you don’t need to get very fancy, and minimalist skincare strategies can be just as effective. Only a few quick tips and tricks combined with the right products can be the game-changer for your skin. All you need to do is follow them with some consistency and you’ll see your summer skin glow return. Want to know what those quick and effective tips are? Read through and thank me later! Nighttime is the best for applying your expensive skincare products because our skin cells regenerate while we sleep. There are tons of rejuvenating serums available in the market, but many of us don’t understand their proper use. These serums basically help in the process of regeneration of skin cells and may help resolve different skin conditions. They are the best for providing deep hydration to the skin and bringing the glow. Their consistency and formulations usually allow them to reach the deepest layer of the skin. Therefore, use a nighttime skin serum and see the magic happen! 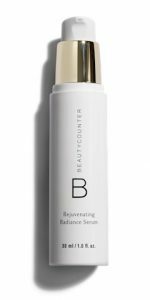 Beautycounter’s Rejuvenating Radiance Serum. This serum improves hydration, skin tone and the appearance of wrinkles using natural jambu, fruit and marine extracts, and vitamin C, while leaving out over 1,500 questionable or harmful chemicals. The major reason of dull skin, clogged pores and rougher texture is sleeping with makeup on. Doing so in summers can cause the skin to break out as well. Therefore, if you want to maintain the glow and beautiful even tone of your skin, sleep with a cleansed and makeup-free face. It’s best to wash your face thoroughly to make sure all makeup is removed. But, if you’re feeling lazy, just make it a habit of keeping natural face wipes on top of your dresser and using them before heading to bed. Consonant ‘Come Clean’ 100% Natural Bamboo Cloths. These wipes are not only soaked with anti-aging and soothing ingredients like grape seed extract, ginseng and chamomile , but they are 100% natural and biodegradable. The right moisturizer for your skin type can totally change the way your skin appears and feels. It does not only keep your skin hydrated but also maintains the right pH level of the skin. When your skin’s pH is balanced, it tends to have a natural radiance. So, never skip hydration even if it’s a humid day outside. Always apply your moisturizer on slightly damp skin for best absorption and make sure the one you’re using is right for your skin type. For instance, if your skin is oily or acne-prone, you may want to use a lighter water-based formulation. On the other hand, if your skin is dry, use a more creamy and thick formula. However, no matter which moisturizer you use, make sure it’s non-comedogenic so that your pores never get clogged. 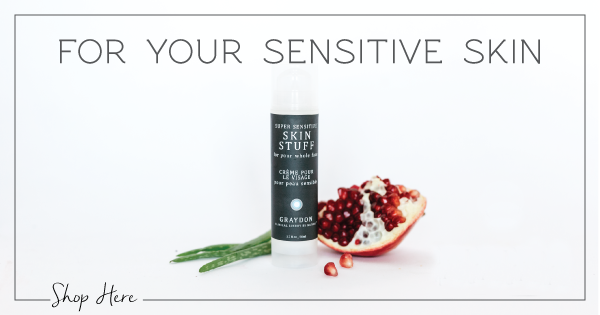 Graydon Plant-Powered Skincare, have some amazing formulations for sensitive, oily/ combination, and dry/ mature skin. They use the power of plant extracts to create delicious combinations for your skin and all their products are EWG verified. If you’re looking for a healthy glowing skin this summer, it’s essential to get rid of the dead skin that has been accumulating on your skin for a while. Exfoliation is, therefore, a must. It helps remove the dead skin cells and promotes the generation of new ones. New cells mean new and brighter skin. Exfoliate your skin one to two times per week. Use a mild exfoliation method for facial skin and don’t use harsh chemical-based defoliants especially if you have sensitive skin. Exfoliation is not only a must for your face but for the entire body. You can use loofah and scrubs for the rest of your body. Pai Kukui & Jojoba Skin Brightening Exfoliator. Rich in omega 3 & 6 and vitamins A, D and E, this exfoliator effectively removes dead skin cells and impurities gently without irritating the skin. Get silky, radiant and refreshed complexion from the first use. 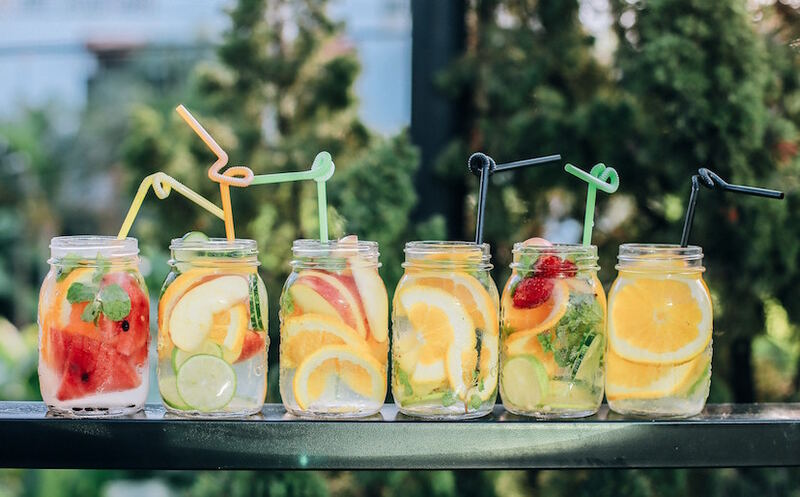 Believe it or not; staying hydrated is the key to healthy and glowing skin. Water hydrates your skin from the inside and helps your body in the detoxification process from the inside out. Squeezing half a lemon in a glass of lukewarm water is the perfect refreshing morning drink (*drink through a straw to protect your teeth). It helps boost metabolism, cleanses your body and improves the overall health of your skin. Adding chia seeds to your water is another great way to add some fiber in. Eat plenty of watery fruits as well to obtain the healthy vitamins and minerals that our skin needs along with hydration. Instead of using highly chemical-based skincare products that strip off the natural layer of your skin, opt for milder organic skincare. Add natural oils, aloe vera, rose water and pure clays into your skincare routine. There are tons of companies today that sell 100% organic and vegan skincare products that are super effective and mild on the skin. Rose water works as a wonderful toner while natural clays are best for deep pore cleansing. Also, check out some of our favourite homemade beauty recipes. Vitamin C is a game changer for the skin and the one antioxidant that brings the long-lost glow back. You can buy serums that consists of pure vitamin C. You can also eat fruits and veggies that contain this wonderful antioxidant. Pineapples and green vegetables are usually rich in vitamin C. Eat them raw or in a salad. Keep in mind that using vitamin C serum on your skin may leave it more sensitive to the sun. Therefore, it’s essential that you use the serum only at night and don’t let your skin get exposed to the sun for at least 12 hours after applying the serum. Apply sunscreen, and if you do go in the sun right after applying it, your skin may get burnt. Following the above tips with consistency can help you achieve the glowing skin you have been longing for. I hope you are convinced that getting expensive treatments is not the only solution for a healthy skin. A few steps for skincare, having some basics and following a healthy diet and lifestyle can definitely change the game of your skin too.